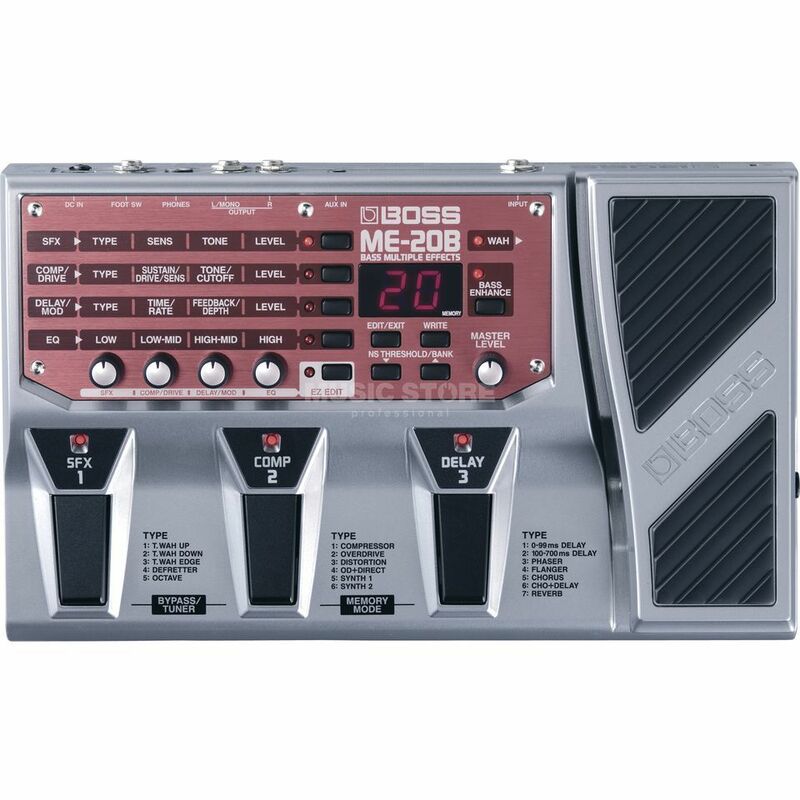 Boss ME-20B - Performance-Based Effects for Bass. The Boss ME-20B is a powerful multi-effects unit optimized for live performance, aimed at the performing bassist who wants stage-friendly effects and solid construction at an affordable price. Mix, match, and customize a wide variety of effects, including compressor, overdrive, distortion, T-Wah, phaser, flanger, chorus, delay, reverb, defretter, synth, and more.